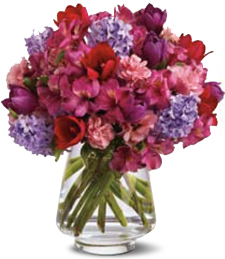 Sure to illuminate any room, this vibrant array of lavender, purple, yellow, pink and green flowers brims with breathtaking beauty and charm1 Sweet floral scents are sure to bring joy and smiles, making this an utterly amazing gift! 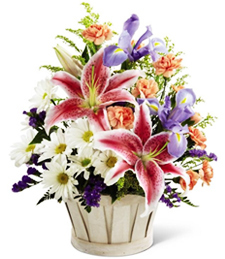 Capture a special moment with this brilliant assortment of bright and vibrant flowers! Brimming with vivacous beauty and lively charm, these bold blooms will illuminate any room, making them a breathtaking and fragrant gift! Fanciful flushes of light and hot pink sparkle with radiant beauty and vivacious charm! 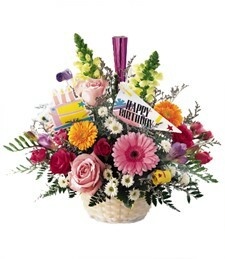 Breathtaking appeal and sweet floral scents make these blissful blooms a truly splendid and simply sublime gift! Open your arms and your heart for Big Hugs and Kisses come your way in the most unexpected accordance! 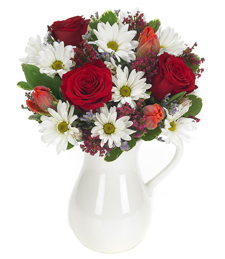 Deep ravishing blooms in colors of red, burgundy, and white shimmer with grace and style. Let the light shine down on that special someone as if it will last for a lifetime! Brim with great pleasures this season for Love is Best! Shower that special someone with a token of that love and affection in colorful shades of white, pink, and purple blossoms for embrace every moment in sheer bliss! 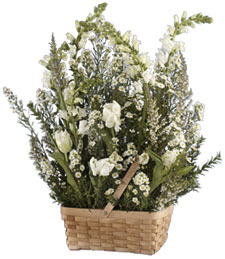 A breath of fresh air, this picturesque assortment of fresh flowers will thoroughly convey your emotions. 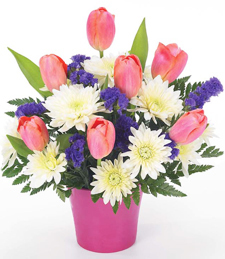 Cheerful, and colorful blooms--an extraordinary emblem of your sentiments. 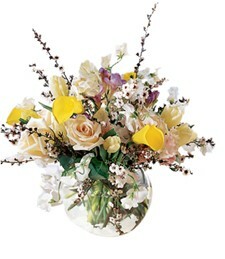 We put all the richness and beauty of a blooming Mediterranean French garden in a vase. 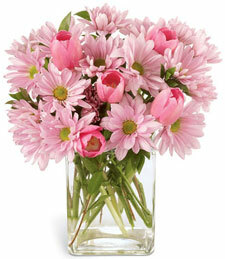 Beauty and charm abound in this exquisite array of vibrant, fresh flowers! 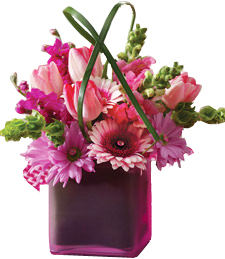 Fun, cheerful hues and sweet floral scents make these blooms a guaranteed crowd pleaser and a splendidly sublime arrangement! Vibrant and sweet smelling like a quaint backyard garden, this charming array of blooms exudes beauty, grace and pastoral appeal. 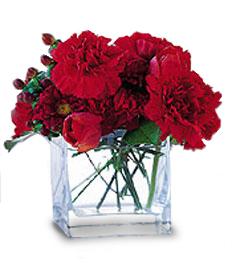 These fresh flowers will illuminate any room and make a heartwarming gift! 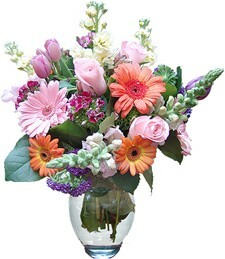 A vibrant floral fusion, this assortment of bright, colorful flowers radiates with hues of pink, orange, coral and lavender! 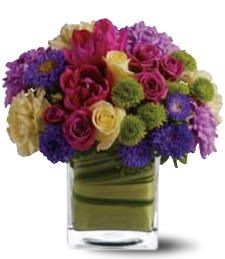 A ravishing rainbow, these bold blooms will illuminate any room, making them a superb gift! Fresh, fragrant flowers burst onto the scene in this vibrantly colorful medley. 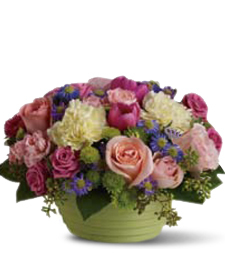 These brilliant blooms are a true symphony for the senses and a loving and heartfelt gift! 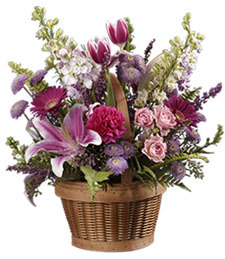 Fresh, pretty, and exquisite, this bouquet of flowers in a charming basket arrangement truly conveys your most sincere sentiment and delighted joy. 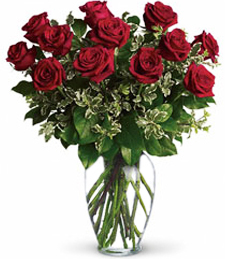 Honor that special someone in your life�order today! 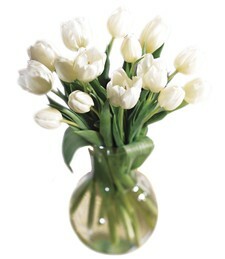 This beautiful bouquet of white tulips is perfect for any occasion. 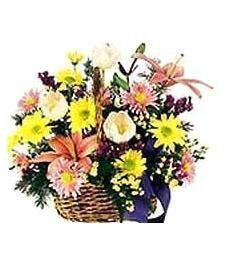 Let the beauty and aroma of these pure flowers fill the air and brighten the spirit. 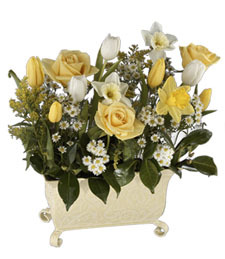 Invigorate the heart and soul of someone you care about with this rejuvenating and vivacious assortment of white, yellow, pink and peach roses and tulips. 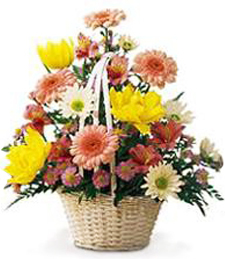 Nurture love and friendship with this beautiful medley. 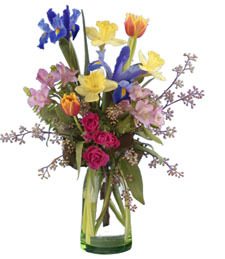 Felicitous floral hues abound in this vibrant and colorful arrangement of assorted fresh flowers. 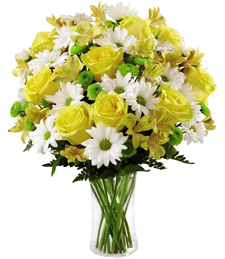 This brilliant and bright arrangement makes for a wonderful gift! Beautiful, vibrant and fresh flowers spring to life from this charming arrangement, accompanied by a huggable, loveable teddy bear. 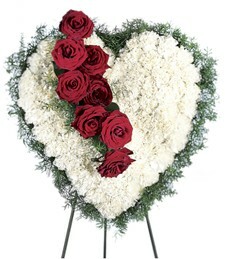 This piece makes for a heartfelt and cheery gift!